IIT JAM 2018 Third Admission List has been released on 29th June 2018. This exam is conducted by IISC or IIT rotationally for the students who want admission in It was held for providing admission in M.Sc (Two years), M.Sc. 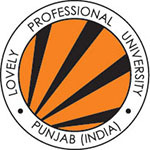 Ph.D., Joint M.Sc. 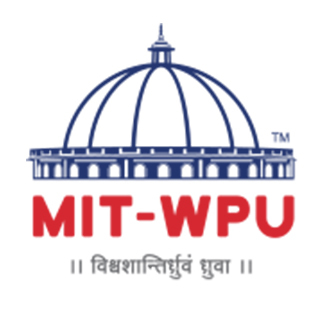 Ph.D., M.Sc.-M.Tech and other Post-Bachelor Degree Programmes at IITs and Integrated Ph.D. degree programmes at IIT. This examination application is available in the online mode online, So candidates are requested to fill the application form online only. IIT JAM 2018 Result has been declared on 20th March 2018. IIT JAM 2018 First Admission List will be released on 22nd May 2018. Bachelor degree completion is the compulsion to students who want admission through IIT JAM. For online application, the student has to visit the official site for filling the form. 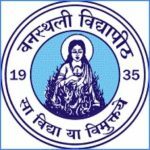 IIT JAM examination 2018 related Updates, Procedure, Information Term as Exams Date, Application Releasing Date, Application Fee, Eligibility Criteria, Syllabus, related information are provided on the page. Moreover, admission to National Institutes of Technology (NITs) and Centrally Funded Technical Institutions (CFTIs) are offered through centralized counseling to M.Sc / M.Tech programmes (CCMN). For more information, /suggestion students can visit other sites. IIT JAM 2018 second admission list will be released on 112th June 2018. IIT JAM 2019 Application form will be releasing on 5th September 2018. Check here for IIT JAM 2019. IIT JAM 2018 Third Admission List has been released on 29th June 2018. Check here for admission details. IIT JAM 2018 First Admission List has been released on 30th May 2018. Check here for admission details. IIT JAM 2018 Score Card will be released on 27th March 2018.Check here for score card details. IIT JAM 2018 Answer Keys along with Question Papers have been released on 27th February 2018. Check here for answer key details. IIT JAM 2018 candidates responses have been released now. Check here for details. IIT JAM 2018 Answer Key along with question papers is releasing soon in the month of February 2018. Check here for answer key details. IIT JAM 2018 Admit Card will be released on 9th January 2018. 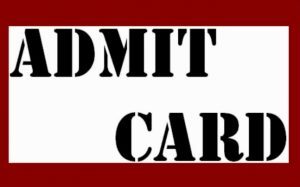 Check here for admit card Details. IIT JAM 2018 Mock Tests for various courses have been released now. Click here for mock test & preparation tips. IIT JAM 2018 Duplicate Rejected Application List has been released now. Click here to view the list. IIT JAM 2018 Application Correction in gender, category, PwD status and exam city has been over by 5th November 2017 via GOAPS login. Click here to make a correction. List of IIT JAM 2018 Defective Applications has been released now. Click here to view the list. Examination dates of IIT JAM are declared by the authority every year and hence students are requested that they should keep themselves updated for the entrance examinations. IIT, DELHI has officially declared exams dates of IIT JAM (Joint Admission Test for M.Sc.). The IIT JAM is conducted into two sessions I and II, Biological science(BL), Mathematics (MA) and Physics (PH) it is a Session I from morning 9:00 clock till 12:0 a clock noon. Session II is Biotechnology (BT), Chemistry (CY), Geology (GG) and Mathematical Statistics (MS) this is scheduled of Session II from 2:00 p.m. to 5:00 a clock. The counseling will be done after result announced of IIT JAM examination. Students will be invited for advice according to their marks in exams. A Candidate who fits in the merit list of IIT JAM can only participate in counseling session of IIT JAM. An admission list will be published through the website for admission on 25th May 2018 (1st Admission List). An admission list will be published through the website for admission on 22nd May 2018 (1st Admission List). Students who are attending counseling are kindly requested to bring all required document for verification with them. Students who show interested in counseling will give the serial number with the password so, that students can roughly get an idea of choosing their favorites college according to their marks. As per the JAM Counselling procedure, The candidates who are qualifying the IIT JAM Entrance examinations can also apply for the admission in M.Sc. programmes in National Institutes of Technology (NITs) and Centrally Funded Technical Institutes (CFTIs) through common counseling portal of IIT JAM, also called CCMN. The IIT JAM Result 2018 will be released on 20th March 2018. The scorecard has been released from 27th March to 31st July 2018. Students have to go through online and check their ranks no personally offline scorecard will be sent to the candidates. How candidate performed in their test paper of IIT JAM according to that, the Separate list will be preparers for GEN OBC-NCL, SC, AND PWD class candidates. IIT JAM 2018 Final Answer Keys have been released on 14th March 2018. A student can give the answer to any question after giving justification and giving payment Rs 500/- for each question, through the online portal which is available. Candidate are requested to read full eligibility criteria for IIT JAM. Sometimes student fails to know the proper eligibility criteria for IIT JAM, which affect them afterward so, the candidate must know the eligibility criteria for IIT JAM. A candidate who belongs to India or foreign both can apply for admission. Students who want to use for IIT JAM 2018 must have bachelor’ degree. Students who are appearing in the final examination of qualifying degree are also eligible for this entrance exams. Marks are fixed for the particular category like the candidate who belongs to General/OBC-NCL. They should get at least 55% marks in qualifying degree. A candidate who belongs to SC/ST AND PWD category should get around 50% marks in degree. Here we have given complete Eligibility criteria for IIT JAM. For more information, please check out other links and official site. Both Indian and Foreign Candidates can apply. Candidates must have a Bachelor’s degree. Candidates belonging to the General/OBC-NCL Category, have to get at least 55% aggregate marks in the qualifying degree, without rounding off (50% aggregate for candidates who belong to the SC/ST and PWD Category Candidates). Candidates appearing in the final examination of their qualifying degree in 2018 are also eligible for this entrance exam. Students who are interested and eligible can apply through online mode from official website. The Candidates who are interested to fill the application form of IIT JAM are informed that the application will be available in online mode only. Application form can be submitted via online method through the website. The application forms will be released on 5th September 2017. The last date to fill the application form along with uploading the documents will be 10th October 2017. Candidates have to fill their personal, qualification & other details in the application form. After making fee payment, submit the application form before checking all entries carefully. Application fees can be paid by the candidates through many mediums like online payment, Debit card, etc. There will be no offline mode of payment for the application fees of IIT JAM. Candidates who are applying for IIT JAM 2018 should know about when to apply how to use, what need in filling forms etc. related information is provided to students. Students are requested to read all detail carefully for filling application form IIT JAM. Candidates can apply for the IIT JAM Application Form only through online process. The application form was provided through the official site from 2nd September 2016. The application form was filled and submitted through online mode. Before filling the application form, candidates are advised to keep ready their scanned photographs, signature and caste certificate (SC/ST/PWD). The last date to submit the application form was extended until October 2017. There is no need to send the application form or any other documents in offline mode. Candidates who are appearing for the IIT JAM Entrance Exam have to pay the Application fees through online mode only. For Gen. and OBC c 1500/- (for one paper) or 2100/- (for two paper). Candidates who are paying the fees online mode, they can use their debit card, Credit card, and net banking. When students applying for IIT JAM EXAMINATION, students have to specify their first, second and thirds choice of their city. When candidate choice first city automatically it will show the second city of choice in the same zone. Candidate can make choice, third cite anywhere from India, or from the same zone. The exam cities had been selected as per the IIT zones. 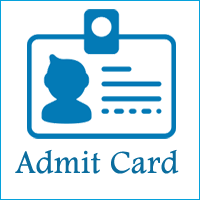 Students can download rank card admit card through official portal. From January 2018 admit cards are available for students till the examination date. The admit card contains all information related to students such as students Roll No, Examination Centre, Candidates Name, Timing and other related information of candidate. Admit Authority will not set card/Hall Ticket/Rank card to the candidates who have applied for the IIT JAM Examination via any medium like India post, Courier or Email. Hence Candidates are requested to download the Hall ticket from the Official web portal of IIT JAM. Students who are applied or appeared for IIT JAM exams can download their rank cards from the official website www.jam.iitd.ac. In, All Information Related To Result, Cut Off Marks, Rank Card, etc. easily will get in above mention site. The score will be declared online; no offline score cards personally sent to candidates. If students want any information from the website, they can easily find out by the following step which is given below. Enter your Enrolment ID sent during registration or Email ID used for registering. Verify all the details mentioned on the scorecard. Download and save IIT JAM 2018 Result scorecard and print it out. Save the hard copy of the scorecard for future reference. According to exams pattern question paper are set in the examination center. Students are suggested to go through your syllabus according to the paper pattern, which will help them for scoring good marks in IIT JAM examination. JAM Examination will have seven test papers namely. Negative Marking: There will be no negative marking in Section B and Section C.
After realizing marks of IIT JAM cut off marks will be declaring to students, category and of each subject. Going through previous year marks will help students for the rough idea of how much more needed for qualifying. Candidate can check minimum and maximum marks required for eligible for the IIT JAM 2018 counseling. A candidate who scores secure marks or higher marks from the given cut-off marks on the website can fill admission form. Applicants should prepare as soon as possible so they will be given sufficient time to prepare for the IAM JAM exam. Understand and analyze the curriculum before preparing. Study the best study materials and also practice the questions and sampling documents from the previous year. Make brief notes on the topics and review them at the end of the preparation. Take care of your health, exercise, and yoga; this will help you focus on your studies. Check out new changes in syllabus of IIT JAM 2018. New syllabus of IIT JAM is given below. Syllabus of IIT JAM test paper will comprise in various subjects which are: Biological Sciences (BL), Biotechnology (BT), Chemistry (CY), Geology (GC), Mathematics (MA), Mathematical Statistics (MS) and Physics (PH). Biotechnology (BT): The Biotechnology test paper comprises of Biology (44% weight), Chemistry (20% weight), Mathematics (18% weight) and Physics (18% weight). The syllabus will be of the 10+2+3 level. Mathematical Statistics (MS): The Mathematical Statistics (MS) test paper comprises of Mathematics (40% weight) and Statistics (60% weight).